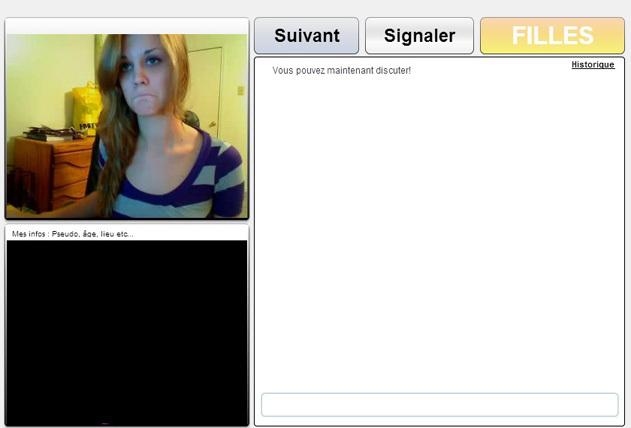 Finally a ChatRoulette for Belgians and not only! Thousands of Belgians from all over Belgium that meet every day on roulettechat.be. to meet casual visitors, and when you are no longer happy with the visitor you're chatting with, you can move to the next. Is the best solution for those who want to meet on webcam strangers from Belgium and from all over the world. Choose in which language to speak, you have a wide choice ... you can communicate in French, German, Dutch but also in English. You have the opportunity to make many new friends. What more do you want? You just have to try it! press CHATTEZ to start roulette chat!